Campaign for the American Reader: What is Melissa Grey reading? 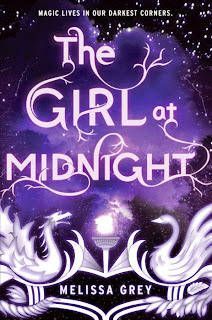 Featured at Writers Read: Melissa Grey, author of The Girl at Midnight. Legend has it that there is a way to end the conflict once and for all: find the Firebird, a mythical entity believed to possess power the likes of which the world has never seen. It will be no easy task, though if life as a thief has taught Echo anything, it’s how to hunt down what she wants ... and how to take it.